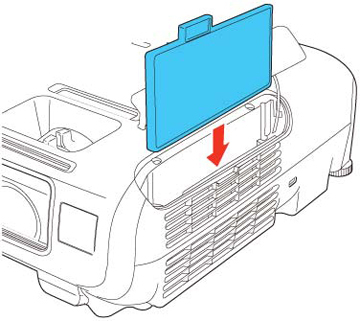 Clean the projector's air filter or vents if they get dusty, or if you see a message telling you to clean them. 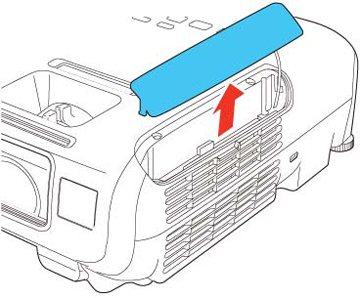 Carefully open the air filter cover. Note: Air filters contain ABS resin and polyurethane foam. 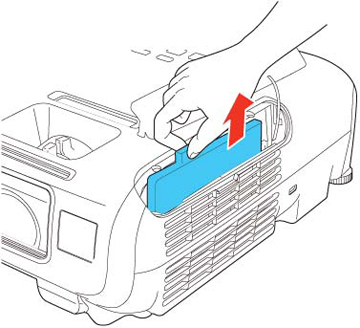 Dispose of used air filters according to local regulations.